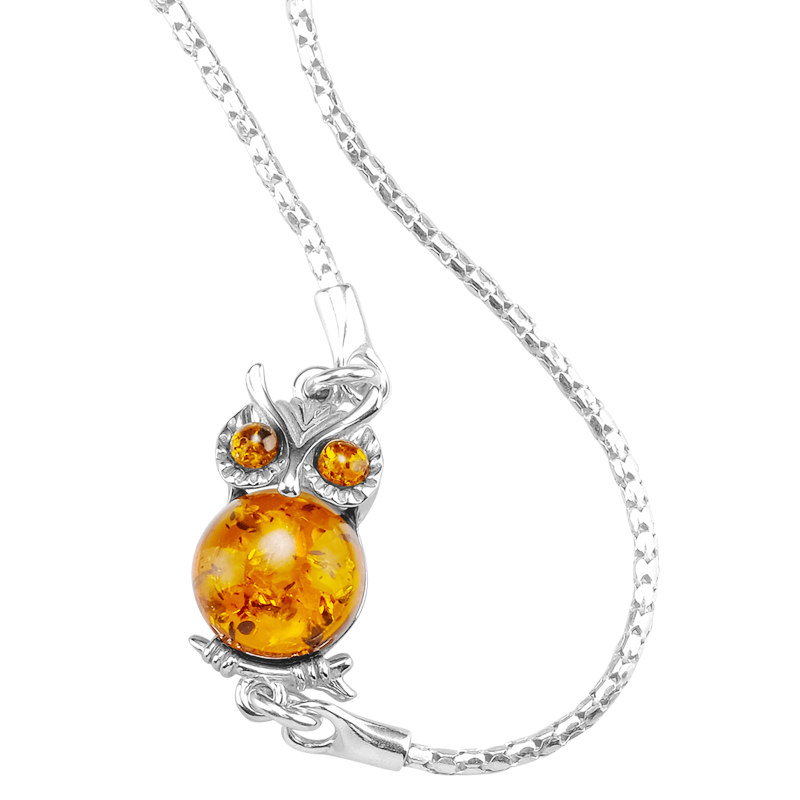 An inheritance from long-gone woodlands, 50 million year old amber lights up the little owl at the heart of this endearing bracelet. A classic snake chain supports your forest friend with a smooth soft density of sterling silver which adjusts with a polished ball, lariat fashion, to your ideal fit. 7½" long. Amber 1¾cts.